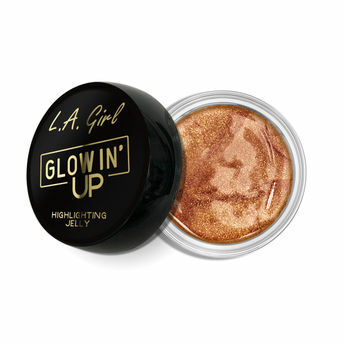 LA Girl Glowin Up Highlighting Jelly is a super long lasting gel based highlighter. It contains an oil-free and water-based formula to create that perfect natural glow finish. The special shiny polymers ensures that the highlighter looks wet at first, but then dries down to a subtle, highly pigmented glow. The special formula does not feel too greasy or sticky and is easy to apply. Explore the entire range of Highlighters available on Nykaa. Shop more L.A. Girl products here.You can browse through the complete world of L.A. Girl Highlighters .Alternatively, you can also find many more products from the L.A. Girl Glowin' Up Highlighting Jelly range.